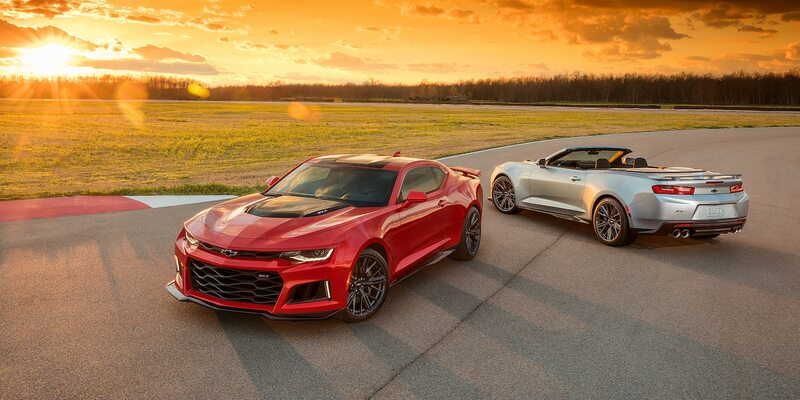 At our Libertyville Chevrolet dealership, we are excited to announce that the new Camaro’s have arrived in Libertyville Illinois. You owe it to yourself to come down and take a drive with us to see what the buzz is all about. When you take this vehicle for a test drive, you’ll be able to see how well it handles, performs and exceeds your expectations of what a performance vehicle can mean. This vehicle has all of the modern technology you might expect and the safety features to keep you protected on the road. Give us a call, we can’t wait to show you what this car can do. 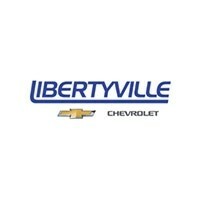 At our Libertyville Chevrolet dealership, we want you to come down and enjoy the vehicle in Libertyville Illinois. This vehicle comes with smart features like outside adjustable mirrors and high-intensity discharge headlamps. The vehicle also comes with body-color hood vents and a premium outdoor all-weather vehicle cover. Take good care of your vehicle with the exceptional level of features that are available to you to give your vehicle a striking impression. 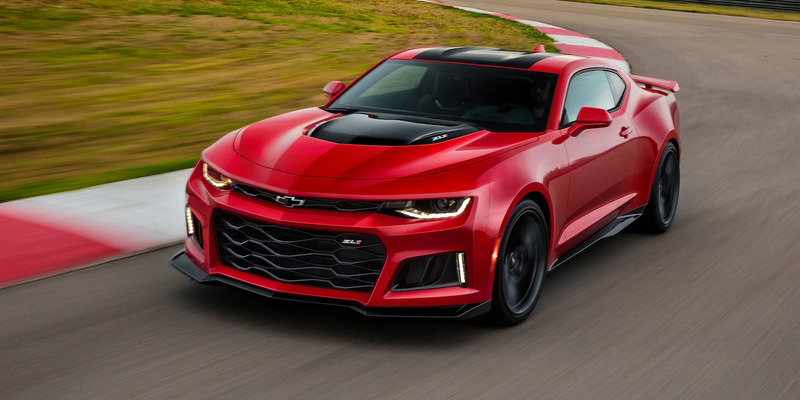 The 2018 Camaro at our Chevrolet dealership is a one-of-a-kind vehicle that will make you proud to part of this exclusive club. Come down and experience the smart interior lighting and the interior spectrum lighting that is designed to help you get a better view all-around the vehicle. There are also tons of tire options to choose from, so you really need to come down to find out what’s available. Give us a chance to help you select the best options for you and you won’t regret it. 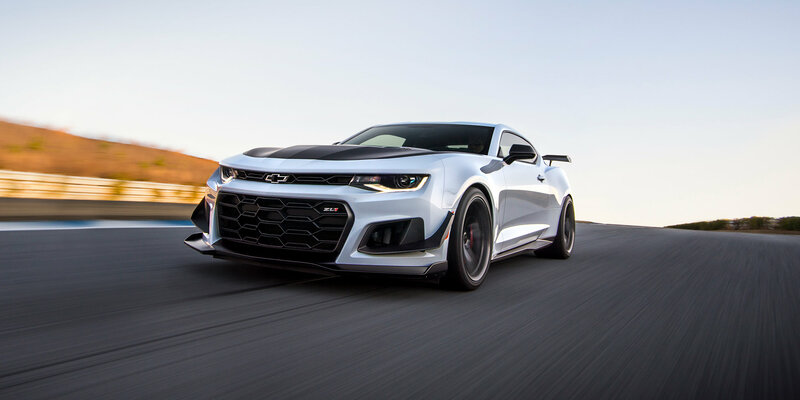 The 2018 Camaro at our Chevrolet dealership is available for you to take for a spin. 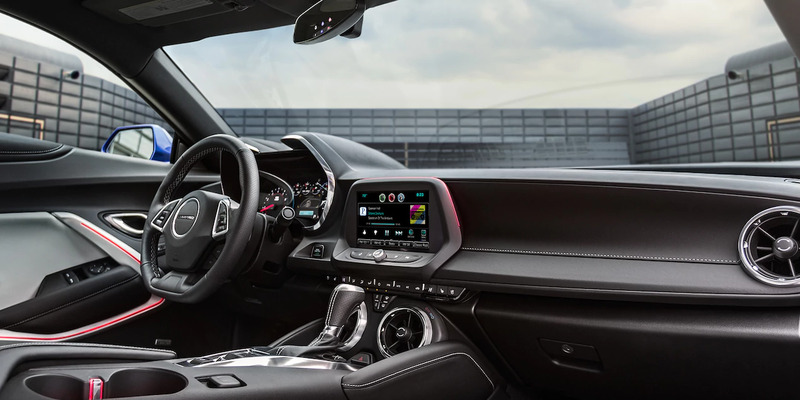 It’s the best way to explore the new options in the 2018 Chevrolet Camaro as well. Some highlights include a power sunroof to give the vehicle a more spacious feel, a heads-up display that gives you pertinent details and a beautiful six-speaker sound system. As an optional upgrade, you may also want to consider the 9-speaker sound system from Bose that gives you more clarity from your music. The vehicle comes with a 6-speed and 8-speed transmission option so that you can have an enjoyable drive. 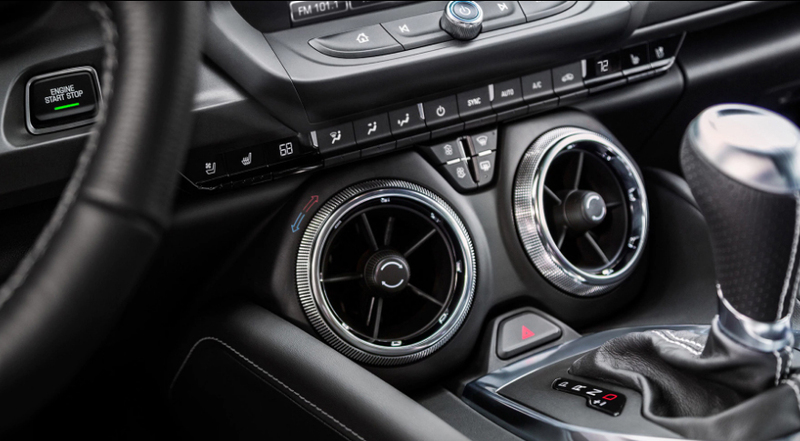 The car also comes with an all-weather cargo mat and the option of a 7-inch diagonal color touchscreen and dual-zone automatic temperature control. 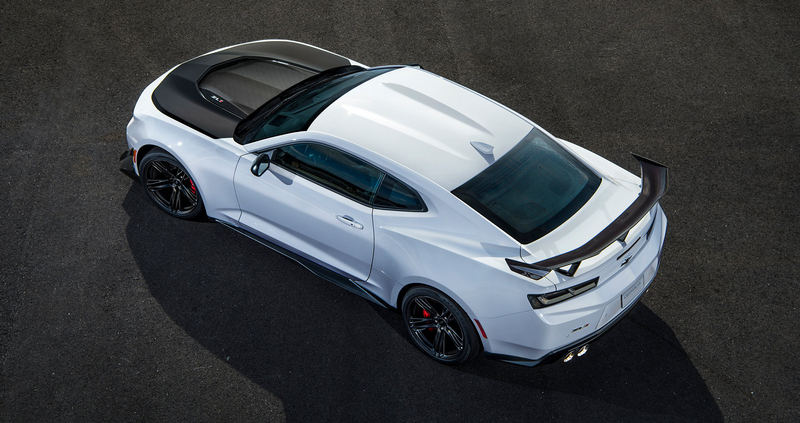 The 2018 Chevrolet Camaro can be customized in many different ways and the mechanical structure of the vehicle is no exception. This vehicle offers four-wheel antilock disc brakes and an electronic parking brake. You’ll have your choice of engine options. Choose the 2.0L Turbo SIDI engine with 275 horsepower and 295 pound-feet of torque, the 6.2L V8 DI engine with 455 horsepower and 455 pound-feet of torque, the 3.6L V6 DI engine with 335 horsepower and 284 pound-feet of torque or the 6.2L supercharged V8 DI engine with 650 horsepower and 650 pound-feet of torque. You can also choose an engine block heater and other smart options to keep your vehicle running well. These vehicles are performance machines and you really need to take it out for a drive at our dealership to truly understand how well this vehicle functions. Libertyville Chevrolet wants you to know that this vehicle is tremendously well-equipped to handle your safety concerns. The vehicle comes with a smart airbag system that is designed to protect you from all sides. You’ll also get standard daytime running lamps, the OnStar Basic Plan for 5 years and the rear cross-traffic alert system. The vehicle also offers a rear-vision camera and a host of options to help keep your teen driver safe as well if they are trusted to take this beauty for a drive. Tire pressure monitoring and other smart active and passive features help to round out the system and give you a great and safe vehicle experience. You want a vehicle that can protect you and your passengers and while you are the best safety feature, the combination of active, passive and autonomous features go a long way toward providing you with additional protections and peace of mind. Stop by our dealership, visit us online or call us in Libertyville Illinois. We want to help you schedule your next test drives so that we can reserve the vehicle that you’re interested in. You have to see the 2018 Camaro at our Chevrolet dealership. It’s an incredible vehicle that is loaded with the best features and we will work to help you take one home with you today. Make sure you contact us to get the best options and features.